TIGER is an initiative to enhance graduate education at UPRM through the creation of new environments for research and education. The project will support the new graduate programs of the Engineering School creating three new research lab facilities and granting fellowships for low income students in those programs. Additionally, it will improve the Finca Alzamora Educational Farm facilities. Furthermore, TIGER will offer a creative space for collaboration and innovation, that will be known as the GRIC (Graduate Research and Innovation Center), where all the graduate students and faculty can gather together to develop projects and receive specialized research services in scholarly communication, research methodology and data management. For more information read, Subvención millonaria incentiva estudios graduados. Seeks to expand graduate program offerings in engineering related to biomedical and aerospace field. The university will offer 3 new PhD programs in mechanical engineering, electrical engineering and bioengineering and 2 master's degree programs in material sciences and engineering, and bioengineering. It also focus on the establishment of three research educational core facilities: Small Animal Research Laboratory, Aerospace Design and Prototyping Laboratory and Thermal Processing Laboratory for Aerospace and Biomedical Applications. These facilities will support research and educational activities of the new graduates programs. This activity seeks to promote on-campus graduate field research in intensive sustainable agriculture; and thus helping students to complete their agricultural graduate programs in a timely fashion. It focuses on providing graduate students in Agricultural Sciences with enhanced research capabilities to improve graduate courses and thesis research. The three main objectives for Activity 2 are as follows: (1) enhance agricultural field research facilities for graduate research; (2) enhance graduate experiential learning through field-research at the Alzamora Educational Farm; and (3) Promote attainment and successful completion of postgraduate degrees in agriculture. Is a creative space for collaboration and innovation, where all the graduate students and faculty can gather together to develop projects and receive specialized research services in scholarly communication, research methodology and data management. GRIC mission is to facilitate research services and support graduate education among faculty and students of the University of Puerto Rico at Mayagüez. To provide a holistic suite of services in which students can be referred to specialists with the proper subject, technology, or production expertise. 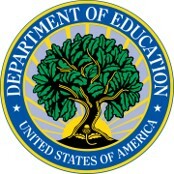 The Transformational Initiative for Graduate Education and Research (TIGER), is sponsord by US Department of Education, Title V, Part B, Promoting Postbaccalaureate Opportunities for Hispanic Americans (PPOHA) Program (#P031M140035). Note: Created by Alessandra Otero & edited by Hilda Teresa Ayala.